My Secret Romance (Hangul: 애타는 로맨스; RR: Aetaneun Romaenseu) is a 2017 South Korean television series starring Sung Hoon and Song Ji-eun. It started airing on cable network OCN at 21:00 every Monday and Tuesday, starting April 17, 2017, just three days after being viewed first on SK Telecom's "oksusu" mobile app. 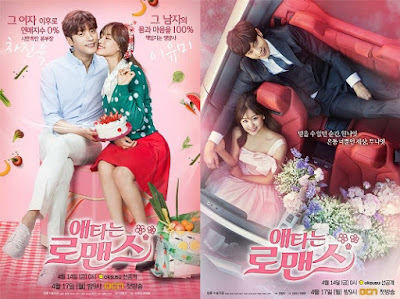 My Secret Romance was selected in the 2015 Top Creator Audition held by KOCCA. The series is the first OCN drama to air on Mondays and Tuesday, as well as the first romance-themed OCN drama.